Nice home on a 2 acre lot with some updates including new windows, well, paint, countertop, sink, flooring including beautiful refinished hardwood floors. 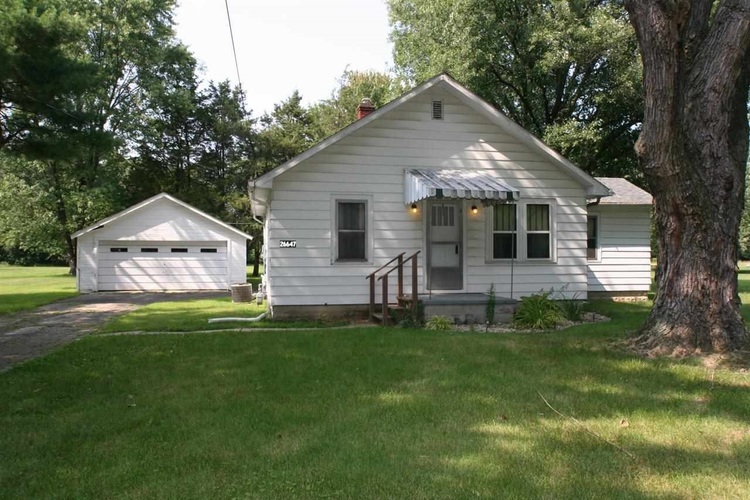 Gas furnace, A/C, basement, and oversize garage with new vinyl siding and overhead door. Main level laundry, and fenced yard all on a quiet dead end street.